Paul, the son of an businessman in early 20th-century Pittsburgh, steals money from the firm where he works as a cash boy and runs away to New York City, where he puts himself up at the Waldorf Astoria and tastes freedom for the first time. This beautiful and moving opera is based on the famous short story by Willa Cather. Sunday, April 21 at 2 p.m.
Click on the above link to be taken directly to Artisphere’s ticketing website, where you can order easily online. Or, if you would prefer, call (888) 841-2787 to order tickets by phone. PLEASE contact us at UrbanArias if you have any problems with ticketing. BE ADVISED: The theater seats only 120 people, and we often sell out. Please book in advance! An Audience Talk-Back follows every performance. Ten minutes after the show, please feel free to join us again in the theater for Q&A with the cast and conductor; Kevin Newbury, director, and Gregory Spears, composer, will also join us on opening night. 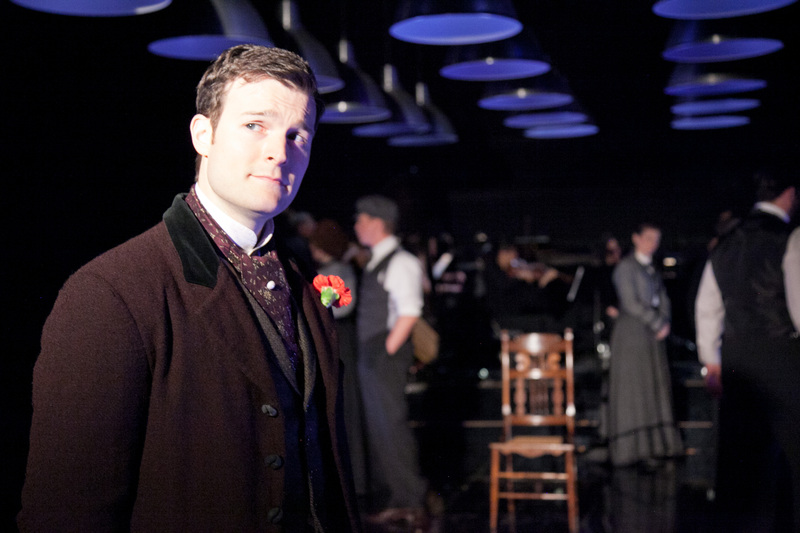 Paul’s Case is one of many operas developed by our colleagues at American Opera Projects over the last several years. AOP’s workshopping process is extensive: the libretto is addressed first, then the vocal score, and each workshop results many changes and edits to the piece. Potential producers, stage directors and conductors are invited to these workshops, and AOP sends out video and audio recordings of them as well. 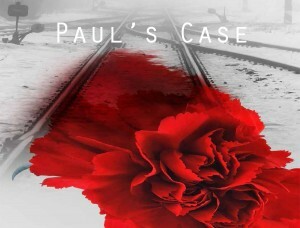 When I first came across Paul’s Case, I was intrigued. 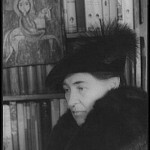 Willa Cather’s story is eloquent and timeless: that of a young person who doesn’t fit neatly into his parents’ expectations for him, who doesn’t get along easily in his school community, and whose tastes and interests are enough outside the norm that they provoke suspicion and some distaste. Required reading in American schools for generations, Paul’s Case is one of Cather’s finest short stories. Gregory Spears’ music is lyrical and beautiful; in particular, he has a great fondness for an almost Baroque vocal style, which he expresses by placing a short “grace-note” in front of many principal notes in a sung phrase, requiring the singer to make quick, expressive and often large leaps between pitches. This ornament is called an “acciaccatura” in the Baroque style, which literally means that the first note is “crushed” against the principal note. That’s a lot of technical detail, but the effect is to heighten the phrase’s expression. If the tempo is slow, these ornaments can sound tender; if the tempo is faster, they sound anxious and excited. Spears’ use of these ornaments highlights the stilted nature of the characters’ relationships to each other – Paul’s father does not understand him, nor do his teachers; Paul’s chance encounter with a college student from Yale, which might have led to a friendship, is undermined by their mutual discovery that they are too similar to really like each other. As an undercurrent to the stylish and stylized vocal writing, Spears pleases the ear with a relatively simple, almost minimalistic harmonic palette, appropriately jarred by dissonance when the drama demands it. The overarching musical effect of the piece is to be deceptively easy on the ear – but as the opera draws to its inexorable conclusion, we feel the accumulated power of Spears’ craft. I was highly interested in programming the piece, and I was spurred to action by my friend Kevin Newbury, who directed Elizabeth Futral in UrbanArias’ first fully-staged production, Ricky Ian Gordon’s Orpheus and Euridice, in 2011, and who also loves the piece. We slated the premiere for April, 2013. The production for Paul’s Case will be simple, clean, and elegant – much like Paul, I suppose (well, he wasn’t simple, but he would pride himself on the other two.) D.M. Wood returns to UrbanArias to design the lights, and we have an excellent cast, including a few who live in the area – Melissa Wimbish, who appeared in UrbanArias’ show BLIND DATES at IOTA Club and Cafe last summer, Erin Sanzero, who has a national career and lives in Arlington, and James Shaffran, who appears regularly with the Washington National Opera. Paul’s Case is a great American story by a great American author – and its direct, concise, and packs a punch, as we like at UrbanArias. Its themes are timeless: striving for self-expression; conflict with authority; the lure of money and the luxury it can buy, but the distaste and discomfort with the manner in which the wealth was acquired; how a young person with everything going for him can feel himself an outcast. All of these things are relevant issues today. As always, please use your discretion. Paul’s Case does not contain risque situations or strong language. It has a number of funny moments, but it is at heart a very serious piece. If your kids are old enough to read the story, they’re definitely old enough to see the opera – and at only 90 minutes, it’s an great introduction to the art form! You can read the short story Paul’s Case here, courtesy of the Willa Cather online archive at the University of Nebraska at Lincoln. 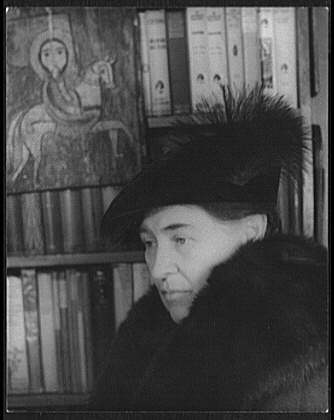 Did you know that Willa Cather was a native Virginian? She was born in Back Creek Valley near Winchester, VA. Tenor Jonathan Blalock, praised by Montreal’s La Presse for a “beautiful leggiero voice”, is making his name in repertoire that spans nearly three hundred years. In the summer of 2013 he will return to Santa Fe Opera, covering Rodrigo in Rossini’s La donna del Lago and the Bailiff in the world premiere of Theodore Morrison’s Oscar. As a first-year Apprentice in 2012, he covered the role of Condulmiero in Rossini’s Maometto II, and was seen in the Apprentice scenes as Peter Quint (The Turn of the Screw) and Edgar (Wuthering Heights). The current season also includes Nemorino in L’elisir d’amore with Opera in Williamsburg and Handel’s Messiah with the First Congregational Church Choir and Orchestra in Greenwich, CT. Highly acclaimed for his work in 20th and 21st Century Opera, Mr. Blalock made his Virginia Opera debut in 2012 as Cégeste in Philip Glass’ Orphée. He has also appeared in the world premiere production of The Secret Agent with both the Center for Contemporary Opera and The Armel Festival in Hungary; and both Glass’ Hydrogen Jukebox and the world premiere of Before Night Falls with Fort Worth Opera. A noted interpreter of the operas of Rossini and Mozart, as well as Benjamin Britten and many of today’s living composers, Keith Phares is regarded as one of his generation’s most versatile artists. This season he made his Seattle Opera debut as Marcello in La bohème and reprised the role of Kaiser Overall in Ullmann’s Der Kaiser von Atlantis as part of Journey of the Human Spirit, a co-production with Central City Opera, Ballet Noveau and Colorado Symphony. Recently he has appeared as Count Almaviva in Le nozze di Figaro with Opera Colorado, baritone soloist in Carmina Burana with San Francisco Symphony, Charlie in Jake Heggie’s Three Decembers with Central City Opera (a role he created for its première with Houston Grand Opera and San Francisco Opera), Figaro in Il barbière di Siviglia with Washington National Opera and Dandini in La cenerentola with Glimmerglass Opera. For his debut with Florentine Opera, he portrayed the title role in the première of Robert Aldridge’s Elmer Gantry, prompting Opera News to write that “Keith Phares’s scrupulously rendered Elmer Gantry appears a strong contender for iconographic recognition. Beautifully vocalized and bursting with charismatic smarm (think Burt Lancaster with buttery legato), Phares’s achievement will prove a difficult act to follow.” The winner of the 2012 Grammy awards for Best Contemporary Classical Composition and Best Sound Engineering – Classical, the live recording of these performances is available from Naxos records. Mr. Phares is a graduate of the Juilliard Opera Center and a 1998 winner of the Metropolitan Opera National Council Auditions. Appearances in previous seasons include performances with the New York City Opera, Boston Lyric Opera, Spoleto USA, Opera Theater of St. Louis, St. Louis Symphony, Metropolitan Opera and the New York Philharmonic. Melissa Wimbish made her professional operatic debut as Barbarina with the Baltimore Lyric Opera in Mozart’s Le nozze di Figaro in March 2012. 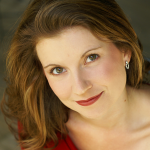 She recently made her Kennedy Center recital debut as a winner of the 2011 Vocal Arts Society Discovery Recital Series and will return in March 2012 for a recital featuring songs of Barber, Schubert, Strauss and Wolf. A regular featured soloist with the Metropolitan State College of Denver Symphony Orchestra, she performed Mozart’s “Vorrei spiegarvi, O Dio!” as a concerto competition winner as well as the soprano soloist in both Orff’s Carmina Burana and David Brunner’s Ecstatic Songs. She was invited to be the soprano in the world premiere of “Venus Transiens” by composer Fran Pierson and will return in January 2012 to premiere Cherise Leiter’s Songs of Jane Austen. Opera productions include the title role in Manon with Peabody Opera, the Lyric Soprano role in Dominick Argento’s Postcard from Morocco, Die Entführung aus dem Serail with Chesapeake Concert Opera (Blondchen cover), Die Fledermaus with Peabody Opera (Adele cover), as well as the monodrama for soprano by Poulenc, La voix humaine. As an actress, Ms. Wimbish’s roster of theater experience boasts two “Best of Baltimore” companies including Single Carrot Theatre and Glass Mind Theatre. She premiered the role of Laura in the original one-act by Rebecca Wyrick, Newer Stranger in September 2010. This was followed by another premiere as Andy Two in Rich Espey’s original work Three Andys based on the life of Andy Warhol. She performed the role of the Cuban Singer with Single Carrot Theatre in Linus & Alora by Andrew Irons as well as Reverend Beaux in Young Jean Lee’s Church. She is currently pursuing her Graduate Performance Diploma in Chamber Music at the Peabody Conservatory of Johns Hopkins University where she is the proud recipient of the Douglas and Hilda Perl Goodwin Endowed Scholarship Fund for Opera. His solo discs include the newly released Dowland in Dublin, chosen by Opera News as one of the best recordings of the year, as well as The Irish Heart and Secret and Divine Signs, which have received critical acclaim from Gramophone Magazine and Five Star ratings from BBC Music Magazine and ClassicFM. Other prize-winning recordings include Mozart’s Bastien und Bastienne, Scarlatti’s Cecilian Vespers, Handel’s Atalanta, Acis and Galatea, Saul, Solomon, and Samson, Britten’s Curlew River, and Bernstein’s Candide. His voice has been recorded for films and for television, and several other projects are currently in development. Outside his musical activities, Michael Slattery devotes much of his spare time to painting and writing. His paintings have been published in the French art magazine ORAOS and exhibited by Glimmerglass Opera in conjunction with the launch of their new website. They can be seen at www.michaelslattery.com. 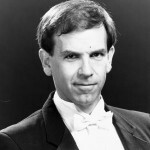 Baritone James Shaffran has been featured regularly at such organizations as Washington National Opera, Deutsche Oper Berlin, Baltimore Opera and Wolf Trap Opera, as well as the National Symphony Orchestra, Choral Arts Society of Washington, Washington Bach Consort and the Fairfax, Williamsburg Alexandria and Lynchburg Symphonies, His major-label debut, as baritone soloist with Leonard Slatkin and the NSO on John Corigliano’s Of Rage And Remembrance, helped earn a 1997 Grammy for Best Classical Recording. 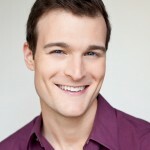 He is a 2013 Wammie (Washington Area Music Association) nominee for Best Classical Vocal Soloist. Well-known for his versatility and charisma, Shaffran has performed roles with virtually every opera company in the Washington-Baltimore area, and many along the East Coast. Described often as “a pillar of the company” by former General Director Placido Domingo, Shaffran is a veteran of over 200 performances and 50 principal roles with Washington National Opera including the role he created as the Reporter in the world premiere of Argento’s The Dream of Valentino. He appears in the role of St. James in the WNO production of Le Cid, televised nationwide on PBS. His many appearances with Washington Concert Opera include most recently Il Talpa in Il Tabarro. He recently performed Masetto with Chelsea Opera (NYC) and Raylynmor Opera (NH), Marullo with Connecticut Lyric Opera, and Melchior in Amahl at St Bart’s (NYC). His principal appearances with WNO this past and present season include Madame Butterfly (Imperial Commissioner), Tosca (Sciaronne) and Manon Lescaut (Innkeeper) He created the role of Seamus in the world premiere one-act opera Part Of The Act, under the new American Opera Initiative cosponsored by the Kennedy Center and WNO. His recent performances with the National Symphony include Copland’s Old American Songs in the annual Labor Day Capitol Hill concert, the Durufle and Faure Requiems, and Vaughan Williams’ Serenade To Music. Soprano Erin Sanzero recently made her LA Opera debut as Emmie in Albert Herring conducted by James Conlon and appeared in the same production at the Santa Fe Opera under Sir Andrew Davis as a member of the Young Artist Apprentice Program. She has appeared with Washington Concert Opera in Adriana Lecouvreur and completed a workshop of Nico Muhly’s Dark Sisters, with subsequent performances at Gotham Chamber Opera and Opera Company of Philadelphia. Recent engagements include a premiere of Mollicone’s Beatitude Mass, Edith in The Pirates of Penzance with Virginia Opera and a debut as Gretel in Hansel and Gretel at the Kimmel Center in Philadelphia. Ms. Sanzero was a district winner and regional finalist in the 2013 Metropolitan Opera National Council Auditions. 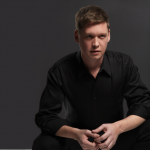 His music has been performed by Houston Grand Opera (HGOco), the American Composers Orchestra, American Opera Projects, Center City Opera Theater, Opera Index, the NOW Ensemble (MATA), Present Music Ensemble, So Percussion, the Sebastian Chamber Players, the Eighth Blackbird Ensemble, and members of the Los Angeles Opera Domingo-Thornton Young Artists Program. Spears was recently commissioned by poet Tracy K. Smith to write two new songs for the 2011 Rolex Arts Weekend at the New York Public Library and by the JACK Quartet to write a piece based on his experience as composer-in-residence at the Buttonwood Psychiatric Unit in New Jersey. Other commissions have come from OPERA America, the Present Music Ensemble, countertenor Ryland Angel, choreographer Christopher Williams and Houston Grand Opera (HGOco). New Amsterdam Records released his early music-inspired chamber Requiem in 2011. Selected chamber works are published by Project Schott NY (PSNY). Current projects include a new collaborative dance opera (Wolf-in-Skins) with choreographer Christopher Williams and an evening-length opera based on Thomas Mallon’s novel Fellow Travelers written in collaboration with playwright Greg Pierce and director Kevin Newbury. Spears has won multiple prizes from both BMI and ASCAP as well as grants and honors from the American Academy of Arts and Letters, the American Composers Forum, the Fulbright Foundation, and the Vagn Holmboe Competition. In 1999 he was awarded a First Music Commission to write a piece for the New York Youth Symphony, which was given its premiere at Carnegie Hall. Spears has also collaborated with musicologist Simon Morrison to realize the original score for Prokofiev’s ballet Romeo and Juliet, which was premiered by the Mark Morris Dance Group and the Bard Festival in 2008. He holds degrees from The Eastman School of Music (BM), Yale School of Music (MM), and Princeton University (PhD) and has been an artist-in-residence at Yaddo and the MacDowell Colony. 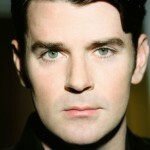 Kevin Newbury is a theatre, opera and film director based in New York City. Recent opera credits include the world premiere of Doubt and Anna Bolena (Minnesota Opera), Maria Stuarda (Houston Grand Opera, Minnesota Opera), Die Liebe der Danae (Bard Summerscape), Roberto Devereux (L’Opera de Montreal, Minnesota Opera), Falstaff and the world premiere of Life is a Dream (Santa Fe Opera), Galileo Galilei (Portland Opera), Werther (Minnesota Opera), Virginia (Wexford Opera Festival – Winner Irish Times Award for Best Opera Production), La Boheme (Central City Opera), Eugene Onegin (Opera Theatre of St. Louis), El Nino (San Francisco Symphony), Rappahannock County (world premiere; Virginia Arts Festival, National Tour), La Cenerentola (Glimmerglass Opera), Bernstein’s Mass (Carnegie Hall, Kennedy Center; Grammy nomination), Oceanic Verses (world premiere, Kennedy Center, River-to-River, NYC). Recent New York theater credits include Candy and Dorothy (GLAAD Winner: Best Play, Drama Desk Nominee), The Second Tosca, and Kiss and Cry (GLAAD Nominee). Upcoming engagements include the world premieres of The Gospel of Mary Magdelene (San Francisco Opera) and Oscar (Santa Fe Opera, Opera Company of Philadelphia), Anna Bolena (Chicago Lyric Opera) and Norma (Chicago Lyric Opera, San Francisco Opera, Canadian Opera Company). Kevin just completed production on his first film, Monsura is Waiting. Kevin attended Bowdoin College and Oxford University. Set Designer Timothy R. Mackabee designed the set for the Broadway production of Mike Tyson: Undisputed Truth, directed by Spike Lee. Off Broadway he has designed for the Cherry Lane Theatre, Clubbed Thumb, Ars Nova, Culture Project and P.S. 122. Regional design credits include Yale Rep, Dallas Theatre Center, Portland Center Stage, Syracuse Stage, Philadelphia Theater Co., and locally at Studio Theatre, Theatre J and Everyman Theatre. Dance credits include the premiere of Doug Varone’s Alchemy and the premieres of Raw, Beyond The Red, and Seed, all for Cedar Lake Dance. Film and television credits include Smash, The Today Show, Football Night In America and Margot at the Wedding. Timothy is the resident set designer for the Williamstown Theatre Festival, the Tony-Award winning summer theatre company in the Berkshires. Upcoming projects include The Elephant Man on Broadway starring Bradley Cooper and Patricia Clarkson and Luce for Lincoln Center Theatre. Timothy attended Yale School of Drama and North Carolina School of the Arts. Costume Designer Amanda Seymour most recently designed the clothes for the Cherry Lane productions of Exile and Lawnpeople. She has designed for the Juilliard School including Don Pasquale, directed by James Robinson. Off Broadway and Off Off Broadway design credits include, Bumbug the Musical, The Clurman: Theatre Row; The Family Room, Arclight Theatre; Alcina, Pocket Opera of New York @ the Atlantic Stage 2; Horatio’s Rise, Theatre Askew. Regional credits include Sound of Music, the Paper Mill Playhouse; Lydia, Yale Rep, and the upcoming production of Oliver! at the Paper Mill Playhouse. Her associate credits are Chaplin the Musical, Broadway; Uncle Vanya, Soho Rep; The Bartered Bride, the Juilliard School; Little House on the Prairie the Musical, Paper Mill Playhouse. Amanda received her MFA from Yale School of Drama and was a recipient of the Leo Lerman Graduate Fellowship in Design. Eric Southern is a New York-based lighting and set designer. His work has recently been seen in Rattlestick’s Buyer and Cellar, Virginia Opera’s Die Fledermaus, Commonwealth Shakespeare Company’s outdoor production of Coriolanus, and at the Magic Theatre on The Other Place and Bruja. Internationally, Eric’s work has been seen on The Secret Agent at the Avignon Opera House and Armel International Opera Festival. Other credits include Cymbeline, Venus in Fur, and Clybourne Park at Portland Center Stage, The Last Five Years at Crossroads Theater Company, The History of Kisses at Kansas City Rep, and a fully staged version of Handel’s Messiah at Pittsburgh Symphony Orchestra. Upcoming projects include Good Television at Atlantic Theatre Company and a tour with the Susan Marshall Dance Company.